Randomly ran across this really cool 3D map of the Local Stellar Neighborhood created with three.js. The belief that modern civilization relies too heavily on the electron can be justified by understanding the power of a Coronal Mass Ejection or even a strong solar flare. 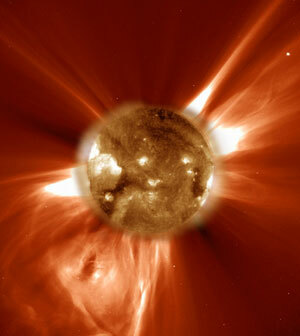 Discovery Curiosity’s show, Perfect Disaster: Solar Storms, explains the consequences of such an event on society. The show, although not providing many technical details about these storms, contains some neat “up close” visuals of the sun.